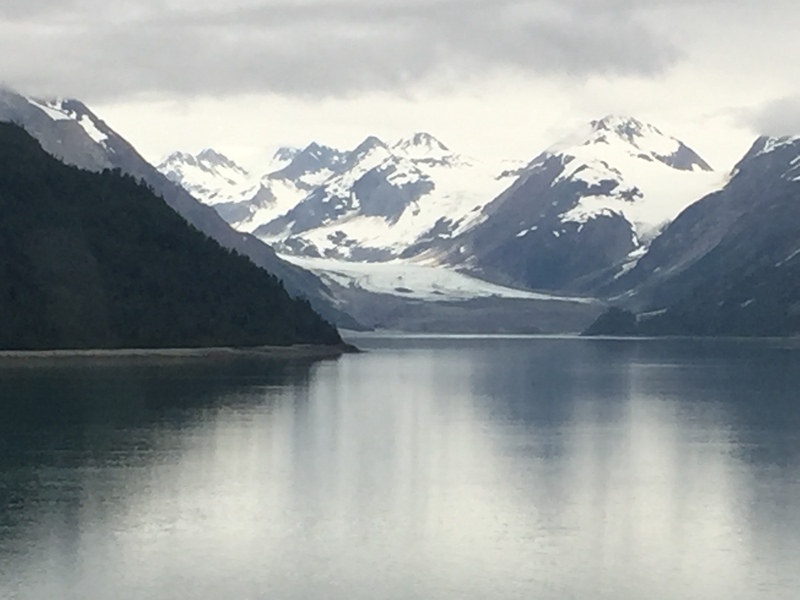 Glacier Bay was beautiful and peaceful. When we pulled into the calm waters a National Park Service representative boarded the MS Westerdam. Throughout the day she provided a running commentary on what to look out for, including helpfully pointing out glaciers, unique land formations and wildlife I would have overlooked. 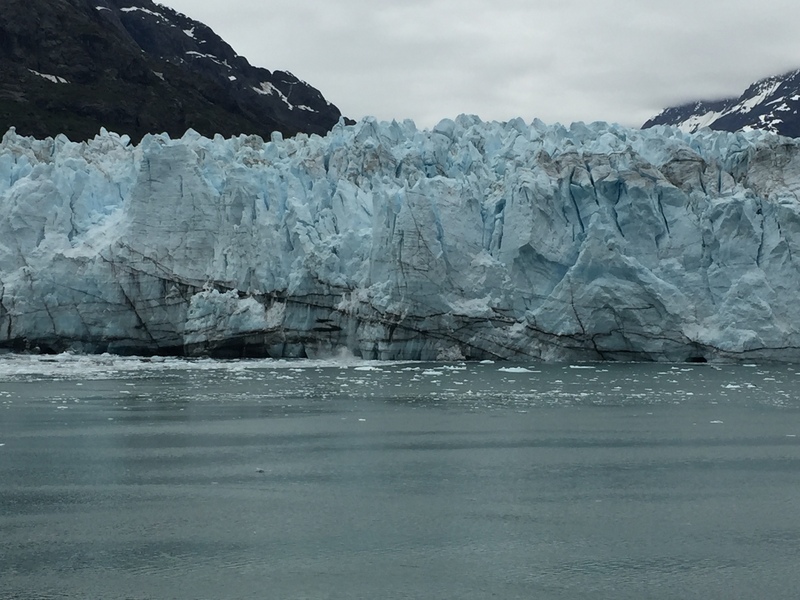 The ship got closest to Margarie Glacier and we were lucky to see it calve a few times. 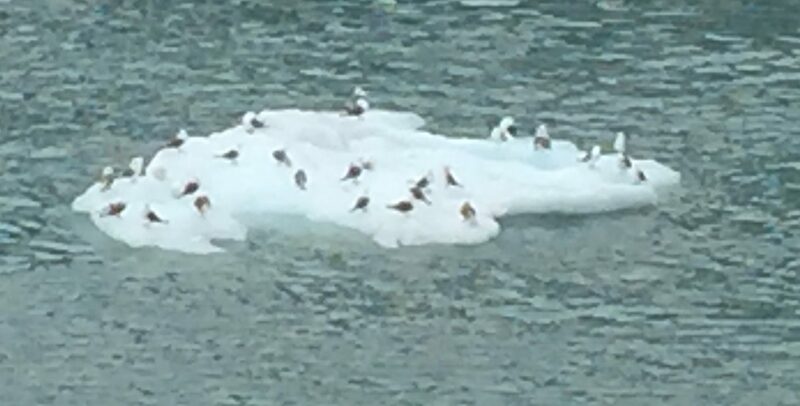 I loved watching the birds resting on large chunks of ice that broke away. Watching glaciers from the ship, including calving of Margarie Glacier. Saw Lamplugh Glacier from the spa.